Thank you for helping us hold our state to a higher standard - for us, for our kids, and our grandkids! This legal action is part of our multi-pronged strategy to get the state to act in the best interests of its people and our rivers, lakes, and streams. We expect to spend at least $10,000 to win in court, pay legal experts to bolster our case, and rigerously uphold our right to clean water in the press and public debate. Any amount you donate helps in this important fight. 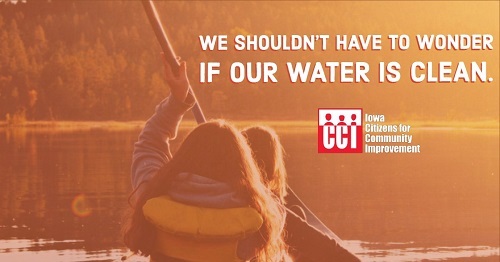 Now is the time for Iowa to step into bold solutions, not trade our precious waters for short term corporate ag profits and gains.